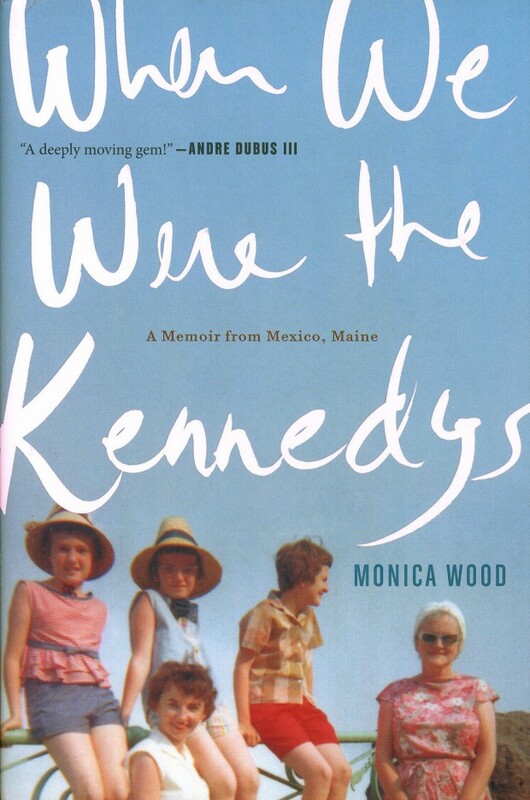 “When We Were the Kennedys: A Memoir from Mexico, Maine” by Monica Wood. Houghton Mifflin Harcourt (Boston, 2012). 235 pp., $24. It is this latter service that memory renders in Wood’s recollections of growing up in the quizzically named town of Mexico, Maine, in the 1950s and ’60s, and growing up blessedly Catholic with her four siblings, and with her father — who dies one ordinary morning — and with her mother, who does what one might expect and more, and much more indeed. Over it all is the Oxford Paper Co. where nearly all the men work, and it is what company town companies once were to their employees in this country — just about everything, until it can’t be that anymore. Other characters, and they are all characters, include the kids’ beloved maternal uncle, the priest, who becomes a surrogate father and is holy in his flaws, sometimes bestowing wild blessings unexpectedly. There is the landlord immigrant couple, hilariously idiosyncratic, and there are the various friends and neighbors who round out the world Monica Wood remembers. All come alive through her evocative, colorful, gentle prose, the reader frequently left with either a tearful or a joyful heart. During and after the presidency of John F. Kennedy, until the widowed Jacqueline Kennedy alienated them by marrying a Greek tycoon, many Catholics felt close to the Kennedys. Hence the book’s title, in particular because the Woods, too, were bereaved by the sudden death of a father and husband. This theme doesn’t have as important a place in the narrative as using it for the book’s title may suggest, however. That minor possibility aside, “When We Were the Kennedys” is a powerfully written literary treasure that deserves many readers. It’s the kind of book you will certainly want to read more than once. Finley is the author of more than 30 books on Catholic themes, including “The Rosary Handbook: A Guide for Newcomers, Old-Timers, and Those In Between” (Word Among Us Press). PREVIOUS: Green Arrow: God’s justice, or man’s?